Visit a church, comedy club, college campus, or barber shop, and it’s not easy to find people who aren’t familiar with, or lifelong fans of, Rickey Smiley and his outrageous morning show radio crew. As the host of the huge nationally syndicated The Rickey Smiley Morning Show, which draws in at least 4 million listeners every day, he’s also the star of his hit TV show Rickey Smiley for Real – one of the only reality show series to address life as a single dad. Plus he has 8 chart-topping comedy albums. 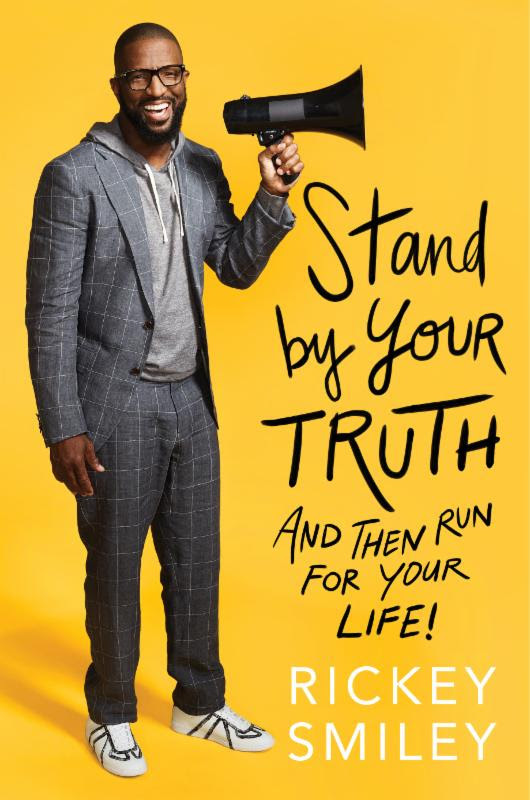 In a time when we are craving world-wise humor as much as insight, STAND BY YOUR TRUTH by the one and only Rickey Smiley is here to deliver on both. This entry was posted in Reviews, Testimonials, World News and tagged Book, Rickey Smiley, STAND BY YOUR TRUTH: And Then Run for Your Life! by Kris Patrick. Bookmark the permalink.